Alex Hannant is CEO at the Ākina Foundation - an organisation focused on the growth of social enterprise. Ākina provides a range of specialised services that support social enterprises to start-up and succeed, from innovation process to investment strategy. Ākina also works with community, government, business, and philanthropic partners to develop New Zealand’s social enterprise sector, and advance broader thinking around social impact and inclusive economic development. Alex serves on the Boards of B Lab Australia and New Zealand and Pomegranate Kitchen, and also teaches a course on 'Leading Social Enterprise' at Victoria University of Wellington. Previously, based in the UK, Alex was Director of Programmes at LEAD - a global network focused on leadership and sustainable development. He was also Head of Partnerships at the Climate and Development Knowledge Network (CDKN) – a global initiative providing technical advice and services to decision makers in developing countries. Alex reflects on learnings from the Social Enterprise World Forum and shares where he believes the sector is heading. He shares insights on how to best work with communities, systems-thinking and the new breed of social enterprises which are delivering impact through markets. [Alex Hannant] - I have to say I was a bit of a late starter really with all things professional and getting serious jobs and those kind of things. But basically I was traveling the world and I landed in New Zealand and I managed to sneak a visa to stay around for a while. I got an amazing job in my mid-twenties working for the university, just as international education was taking off and I got a job in the marketing team. So it was a wonderful experience as part of my work to basically get to travel to China, India, Southeast Asia and a range of amazing countries. During that process I became increasingly aware or troubled by issues around poverty and development and inequality. So really, that experience was the start of a question which has led me up until here. I went back to university to do a Postgrad in Development Studies and I quite naively thought intention was enough to actually create positive change and then realised how difficult it is to actually play a role in creating positive cycles of development and change rather than just being a sort of do-gooder trying to make a contribution. So to get to the point, through work in areas around community development or influencing policy, looking at processes around innovation or leadership development in individuals, the stuff that I started to see that worked was when you had local leadership understanding the problems and the communities that they are trying to work in or problems they're trying to solve and finding models of change which are financially stable in their own right. So they're the characteristics and let's call that social enterprise. So really it just seemed to be the most effective way of actually understanding problems and then being able to deliver sustainable solutions. For me, social enterprise is a means to an end. I guess the theory of change behind Akina was if we can support the development of more social enterprises that leads to more sustainable change and more innovation. So Akina was set up originally to think, "how can we provide the support for more social enterprises to start up and succeed?" So really it's an enabling organisation and it's tried to diagnose and effectively remove the barriers around innovation, capacity development, organisational development and then ultimately organisations working at some level of scale and long term sustainability. So in terms of the programs that we offer, they really speak to what we can do at any given stage of development. That's people coming up with ideas. People building their skill sets, people doing startups, people solving business development problems as they go along. Organisations finding access to markets, organisations finding access to appropriate finance. And so we've developed an integrated set of services and programs which really seek to provide support to people and organisations through all those different stages. I guess while we started off in that kind of direct support developmental approach, we increasingly realised that if there isn't actually a broader sector or a broader ecosystem working around all these activities the overall effect is going to be limited. So increasingly we kind of got into influence and in advocacy in partnership development and trying to move some of the bigger more powerful organisations, be that in philanthropy, government, local government or business to really get involved and see how they could also build strategies and work collaboratively together to create a more enabling form of social enterprise. We do a whole heap of developmental stuff across the whole country and now internationally. And then over the last three or four years we've played an increasing role in building awareness and support and development strategies with those bigger institutions or wider sectors. Good question. We're still making sense of this. The first thing to say Tom is it went as well as we could have possibly hoped. So we're delighted and still celebrating that. I think there's also a cautionary note there that it's easy to get carried away in the energy and positivity around a certain event. And it doesn't necessarily mean that that will be channeled or create a legacy in its own right. So we're still feeling our way into this a little bit. We always saw this as more than an event. We understood that the World Forum had this kind of precedent for being quite a catalytic force in the countries which hosted it. It's almost like, if you invite the world in and create a container, that that inevitably changes the narrative or the momentum around the idea of social enterprise, and that can lead into really concrete actions and investments to better support social enterprise. So we started with that thought in mind and a lot of our activities over the last two years have been really trying to say, "we need this for the long term, so why don't we get it up and running and launch it at the forum?" So at the forum, in addition to all the people, we had all these side events where we were launching initiatives around investment, where we launched an initiative around a market connected procurement platform where government had just announced a three year investment in sector development. We convened the universities to have a discussion about university education. So in addition to the main program, there were some real concrete activities that had been designed and then were launched there. So I think the legacy of those things hopefully is secure. The bigger thing is how does the community or the movement around social enterprise actually find a better way of working with each other? You can build the infrastructure or initiatives you like but unless that movement is cohesive and actually keeps up the momentum, those things could become white elephants. And so we're provisionally hopeful because one of the things that happened was that people who were doing the work didn't realise how many other people were doing the work. So whether it was a Maori social enterprise from the East Cape or social business from Wellington or community business from the far north or trade in not for profit, people came together and they realised that although they came from different places they had a shared endeavour and they shared the same values. So more than social enterprise, there was this sense of, "we can do things differently and we can actually change the world around us a little bit." So I think the challenge going forward, which is also the opportunities, is making the most of the investment in initiatives that have been launched, but finding a way to actually facilitate the conversation within the sector itself which builds a natural momentum of itself. I'm not sure if I think New Zealand is unique. I mean no more unique than anywhere else if that makes sense. In New Zealand I think there is something really profound in social enterprise in the Maori context and that's because the values which underpin social enterprise are deeply embedded in Maori kaupapa. So be that kaitiakitanga around sustainability, intergenerational responsibility, sort of a collectivism and sense of serving the whole community. All those things are characteristics of what we would see social enterprise in a more Western way which are embedded in Maori thinking. I think that's not unique in itself because I think a lot of Indigenous people and indeed Western civilisations pre-industrialisation maintained a lot of these values. I think in New Zealand what we do have is the kind of settlement process with Iwi, which is unlocking significant amounts of capital and also set in a narrative around empowerment and self-determination. So that process and the rise of social enterprise happened at the same time which potentially makes the combination quite powerful. The only thing I'd say is kind of unique about New Zealand is we're small and we're functional. So when stuff gets going here it can go like wildfire. Our size is a constraint sometimes but when it gets going we can move very quickly. A lot of the more established social enterprise sectors have had to find their way learning by doing, and have got a lot of bloody noses. In some ways coming a bit later to the party, not so much in terms of individual social enterprises but as a sector development strategy.... coming late to the party we were able to learn from the mistakes of others. So I think the learnings are there, the ability to respond quite quickly is there and there are these elements around the Maori development aspect which could combine to make quite a powerful flavour of social enterprise in New Zealand. There's a lot more of it. I think there's been a proliferation of activity that doesn't always go hand-in-hand with quality. But what it is useful for is normalisation. I used to say 'social enterprise' and people looked at me in a confused way. Now I don't tend to get that anymore. There's almost been this mainstreaming of of the idea. That's then reflected in the strategies and the interest of more mainstream sectors, be that business, philanthropy, local government, central government. So I think there's been a normalisation. 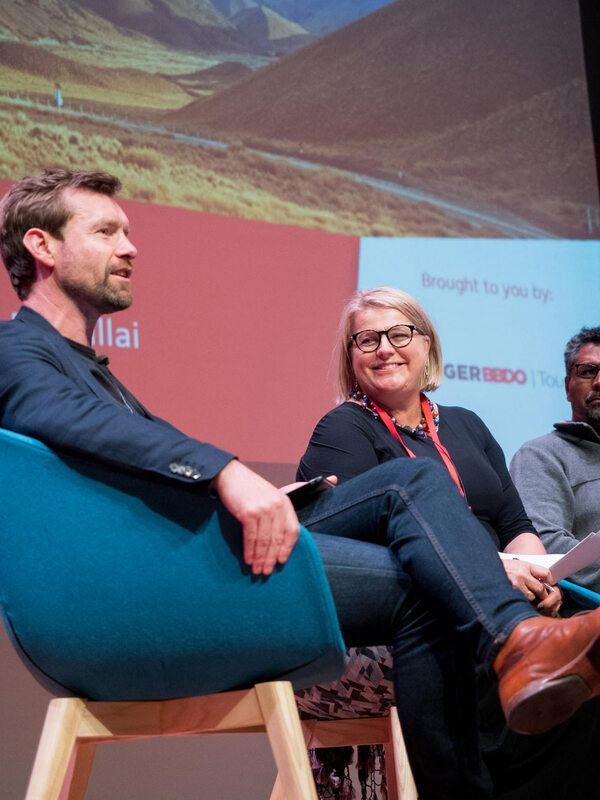 I think some of the most successful social enterprises in New Zealand previously have been the ones which are very embedded in their community and they've been around for a long time. I'd say that they have been doing a fantastic job but the support sector which is growing up around them is going to enhance what they do. The biggest change has probably come in a new breed of social enterprises which see themselves primarily as a business or at least delivering their impact through markets. And I think we're starting to see the first wave of the new breed of social enterprises now actually getting to a certain level of confidence and scale. And so organisations that we've been supporting for say five years are doing their second rounds of investment, are exporting now and are grown-up organisations basically. So I think there's a lot more going on. The ones which were doing well are finding it easier to go about what they've been doing previously and are being able to share their experience and knowledge with more of that kind of community based work. And then for the organisations which are working more in a market context, they're getting recognised, they're getting scale and they're getting capital. I'll probably go about this in two ways. One, it's the policy which directly relates to social enterprise but isn't about social enterprise. And secondly there's social enterprise policy. It's important that when we think about social enterprise, it's not just this niche sector which is finding its way and growing. There are other things going on in our economies and public services and societies which are just creating more space for social enterprise to happen. So if you look at the trend of the New Zealand government and this would be the same in Australia and many other Western style governmental models, the whole move of governments wanting to a) outsource stuff and b) redirect their financial spend to services which are demonstrated to be effective through different types of contracting. And then also the devolvement of budgets down to service users rather than just bulk buying the delivery of services. Actually handing their budgets to people who are service users who can then choose who they purchase services from. Those things aren't about social enterprise but all of them are creating new markets specifically around social value. So there's almost a case of saying traditional organisations which saw themselves as service providers and not-for-profits are increasingly finding themselves in competitive market arrangements. So whether they like it or not, they're going to have to become enterprising; and you know what? They're mission-led. So they are actually being evolved into social enterprises whether they like it or not. I think some of the figures from Australia for example is that there's an annual spend of a hundred billion dollars which goes into the procurement of social and public services. So that's all up for grabs and me for one would prefer a mission-led organisation looking after me in my dotage rather than Serco. So I think there's an interest to say how do we then improve the innovation and capability of mission-led organisations who can actually play a real leading role in the delivery of public and social services? I won't go any further than that, but if you are a government, how do you go around saying, "well we now value social enterprises, we know it's about inclusive economic development, we know it's about better public services, we know it's about skills and capability. We know it's about unlocking potentially a source of capital to deliver things we're interested in. What do we do to make it work?" We articulated four areas of strategy. One is around capability development, business development. So what I was discussing earlier about what Akina does. How would you conceive of that, not through one organisation, but as a whole national infrastructure of support? And I think one of the interesting things is here is if you ask the question about what does radical democratisation of innovation look like? If you think 150 years ago only a few people got education and at some point people said, "it would benefit all of us if everyone got education." What happens in the 21st century if we suddenly realise that innovation is one of the key competencies we need? How would you go about doing the equivalent now of what putting a school in every village was in the 19th or 20th century? So you know that's the question; how do you build capacity at scale and equip people with the confidence and the capabilities in order to conceive and then build social enterprises? The second strategy is around financing. So that means deployment of seed funding, deployment of research and development. It means co-investment. I think the jargon is 'co-mingling'; how to use public funds to unlock philanthropic and private dollars. How do you ensure that there's the right type of growth capital around? How do you make sure that that serves the requirements of social enterprises which are not businesses in some ways specially when they're working in sub market conditions? So that's the second strategy. The third is markets; social procurement. How do you think about adding social value to all public and private sector spend? And again here you get to the point of it not being about positively discriminating toward social enterprises. It's not saying, "we will contract with a group of social enterprises." It's just saying, "when we buy our goods and services, we just want more. We want to see evidence of community benefit or social value." And so social enterprises are well-placed to deliver on those requirements. Some not-for-profit organisations are going to find themselves as social enterprises whether they like it or not. Mainstream businesses will start to say, "well if we want to get these contracts, we've got to think deeper about the social value we create." So as much as social is leading into the commercial, we're going to hopefully have commercial leading into the social. Also there's consumer awareness. People don't think about twice about fair trade now. How can we have that same awareness with social enterprises? The fourth area is the glue and the kind of information and evidence data which makes all those things work better. How do we appraise the impact of social enterprises that work in different areas? I'm not sure if that's even possible, but what's the currency system for impact, where people can see something is really happening? Then there's performance data; how many are there, where are they doing, how well are they doing, how fast are they growing? How do we know that our policies are actually making any difference? And then I think there's the learning aspects of data in terms of how we capture success. How do we replicate models or at least share elements of success which are applicable to other situations? So how do we create that learning culture which can inform practice within social enterprises themselves? But then also inform the strategy of local government, the philanthropic sector, business and so on. So they are the four areas that we've been saying to government that we don't want government to lead. But we recognise it does have a certain monopoly on getting things going and also, if it does invest, others will go along with it. It's a really good point. Before you start innovating and creating enterprise solutions, it does still start with people and communities being able to diagnose where their strengths are, and also where the weaknesses are and the things that they want to change. So I think you can look at other areas. The methods or at least narrative around collective action which is often located in a place. You quite often have a backbone organisation or an intermediary, which is able to convene the various different stakeholders in the system and get a collective understanding of what's happening in any given place. I think it's really important that it starts there, rather than just people coming with bright ideas and then doing start ups. One of the moments at the World Forum was when Andrea Chen from Propeller in New Orleans (which was an incubator set up to respond to the fallout of Hurricane Katrina)... They had been quite successful on the surface of things. They got money, they'd done startups, they'd invested. But when they looked at the evidence, all the things they set out to change were going backwards and not forwards. There was this realisation that they were effectively supporting the people in the organisations that would probably have done OK anyway. Rather than actually really convening the community and there are groups which are being excluded now and better understanding where they have to change deeper things, like attitudes around race or power. It was only at that point when they went deeper into diagnosing what needs to be changed and actually created a collective sense of action that then the innovation and the enterprise that came after that started to actually really get to the nut of the issue. So I think going back to your question, it works well in place. This stuff does work well in a geography because people have a way of being with each other which perhaps they don't do when bigger distances come into play. I think going forward, local governments and cities, regional communities and geographical hubs will become the epicentre of activities. It's just important that those things are connected to each other within a national and international context. And that you're able to connect local innovation and ownership with global networks of learning and also global networks of trade and finance. I'd put this on four levels and this kind of thinking has also led into how you build learning programs to build these capacities. Ultimately, anyone who wants to try and change anything which is social and environmental has to have some kind of systems literacy. They have to understand the problems they are working with in a very very deep way. Pamela Hartigan who was the Director at the Skoll Centre, Said Business School had a phrase of 'apprenticeship to the problem'. So that people have a really deep understanding of the systems, the communities, the issues that they're dealing with. And I think that's absolutely essential. Coming in and suddenly trying to solve other peoples problems for other people is just fraught with any number of risks around legitimacy. You're more likely to create far more damage than you're going to do anything good. So first thing is understanding the problem and having that systems literacy. The second thing is then having the skills to design solutions; do they have that innovation capability? Do they have the ability to test, refine, iterate? Design thinking is great competency. Understanding how to use data and evidence and all that kind of stuff; so good innovation. That sort of bleeds into the social skills which are absolutely critical in building teams and organisations but also being able to relate to the communities and customers that you work with. So if you don't have that, you can have all the technical skills, but you may not be able to interpret or translate some of the data points you get. I think also in the technical skills you're talking about good strong commercial skills or at least knowing what you don't have and being able to build a team with people that do have those capabilities. But last of all, the top level is the humility and self-awareness piece. Personal leadership. Understanding the limits of your own capability. Understanding your motivations for why you might be doing something. Appreciate when you're wrong. Being able to change and being able to absorb criticism. Natural attrition of just doing things which are really difficult for long periods of times. So really those are personal leadership qualities. So to recap, systems literacy and understanding the problems you're working with. Two, technical skills which span innovation and broad base of commercial skills. Three, having those social skills which build trust and enable people to relate and enable people to communicate. And then fourth, that kind of personal leadership and resilience and that sort of really good sense of emotional intelligence, self-awareness, which ensures that you don't get too buffeted around on the journey that you're inevitably going to go through. Starting at the micro level, the social enterprise I'm on the board on just fills me with such joy because it's just so deeply human. That's Pomegranate Kitchen, which is a catering business which employs former refugees, women from the Middle East, and celebrates their strength as cooks and their cuisine and their culture. The food is delicious and everything that goes into that organisation is around empowerment and respect and quality. So as a small business you know it just proves that you can do things so much better. You only have to look around to see the kind of nationalistic bigotry which is on the rise. So the way that we are becoming more threatened and intolerant of 'the other'. A business like Pomegranate Kitchen which turns that on its head and creates a really positive narrative which enables people to be integrated and welcomed and valued is such an important thing. Pomegranate Kitchen is one of a number of Wellington based social enterprises which are kind of clustering together. They trade with each other and there's a lot of peer support there. There's this real kind of agreement around the quality of their brands as well. And so what really excites me that it's not just doing a good thing but they are actually wanting to take on mainstream business and that quality level too. I'm going to jump to Scotland. And this is around system supports; how organisations can partner in really smart ways. There's a food supermarket chain called Asda. A couple of years ago Asda started charging people for the plastic bags. They diverted all the charge they got from the plastic bags into Social Investment Scotland into an investment fund for social enterprise. The mechanism to try and restrict waste is then going into an investment fund to support new business initiatives. And then for the one which creates appropriate products and good, Asda then gives them shelf space and also support in a whole business development program. So you're incorporating in one system play, the financing, the capability development, and the access to market. This is a powerful way that when you get a private sector organisation with a government investor body working with social entrepreneurs that everyone can get a hell of a lot of value out of that. At the level above that I'm starting get very excited around the evolvement of these national strategies around social enterprise. So Scotland's now in its second, the state Victoria launched its strategy at the back end of last year. Something similar might be taking place in Queensland in the near future. New Zealand is going that way. Taiwan's going that way. Korea is on its second one. So beyond the micro into partnership, we're actually starting to see the ecosystem as well. So all of those things are really promising. And you want a proliferation at all those levels to try to make this something which is going to be truly transformative. You can contact Alex on LinkedIn and Twitter. Please feel free to leave comments below.